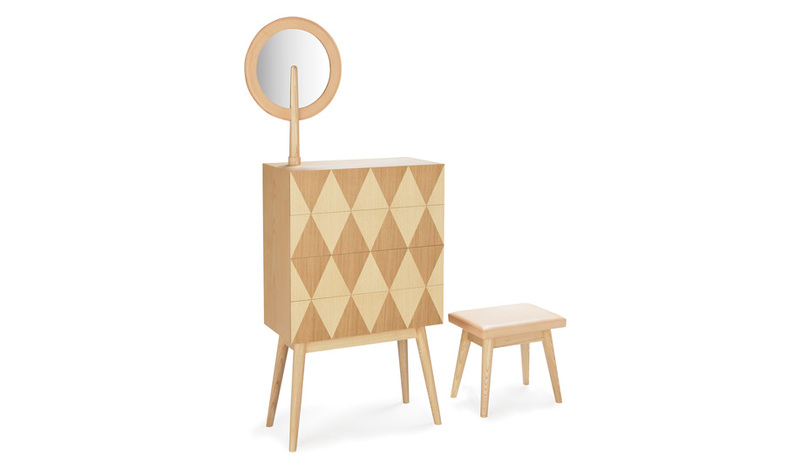 Harlequin Chest of Drawers incorporates a mirror and a leather-upholstered stool with a solid ash chest. My mother is an art teacher who studied at Konstfack in Stockholm, and my father is an architect, so I grew up in a creative environment where I was allowed to do whatever I wanted. Growing up, I did a lot of sewing. At an early age, I knew that I wanted to do something creative; there was never any question about it. But in Lund, where we lived at the time, there was nothing, so I applied to the Royal Danish Academy of Fine Arts School of Design in Copenhagen. I chose to study in London at Central Saint Martins. It was fantastic being in an environment with a mixture of people and different cultures. I studied product design because I was interested in a number of things: fashion, jewellery, furniture. After graduating in 1998, I worked for a number of design consultancies, such as Pentagram and Factorydesign. 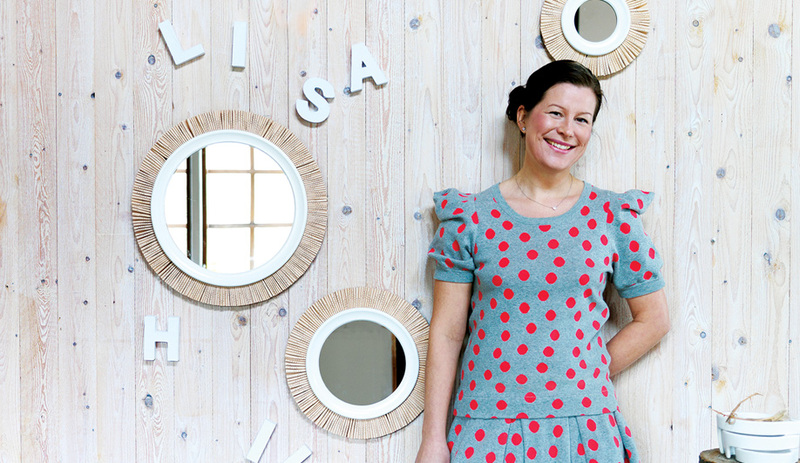 In 2005, my husband and I decided to return to Sweden, and I set up my studio just outside Malmö. 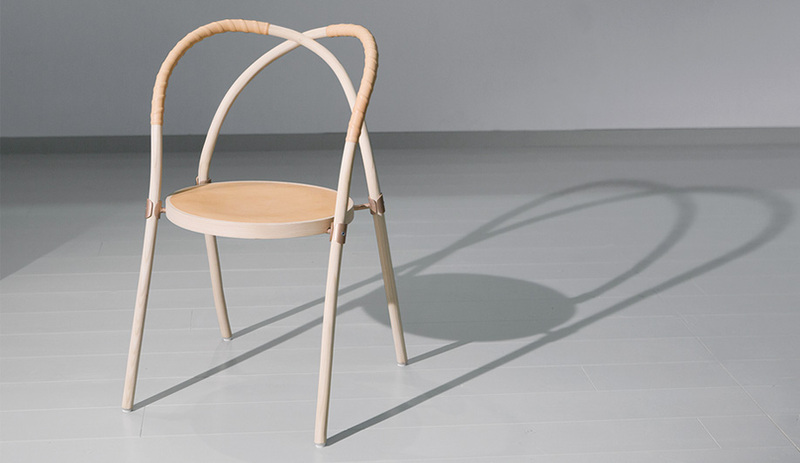 The bentwood Bow Chair is made by Gemla, with two arches partially wrapped in leather and held together by bronze fittings. In 2009, during my maternity leave, I did a lot of thinking about design and my attitude toward the profession. 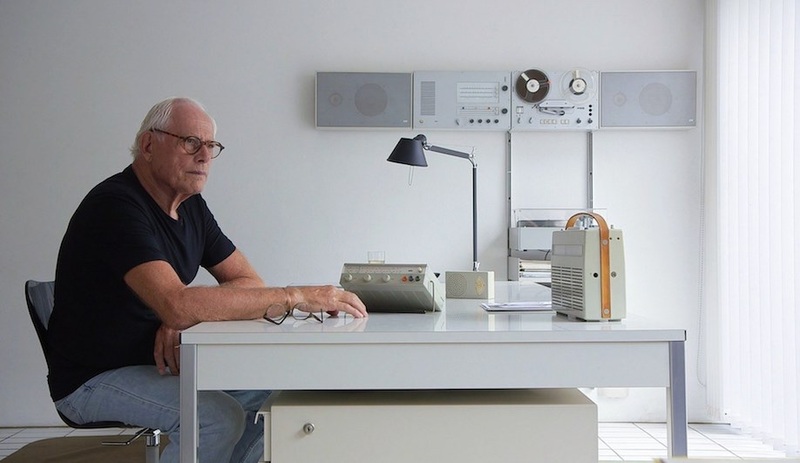 At the time, there was a big debate about design and whether it’s needed at all. 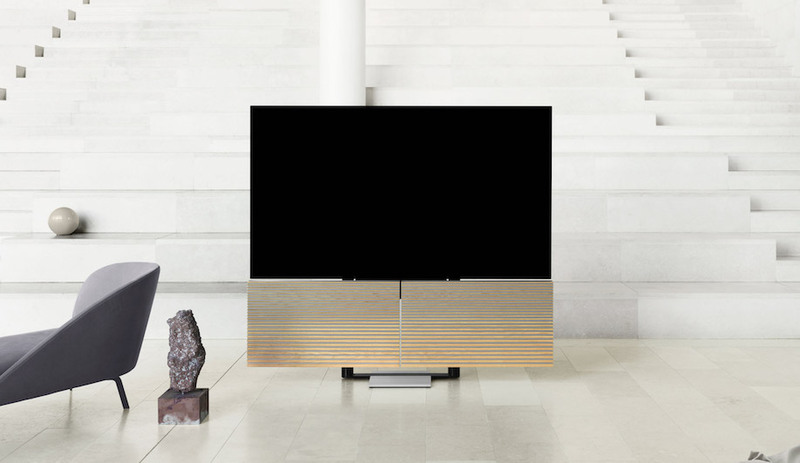 As I see it, design has to be sustainable and be able to age with beauty. Having children got me interested in older things that I hadn’t cared much about before. My great-grandfather had a car­pentry workshop and made things in pinewood that are much more beautiful now than they were 100 years ago. I gave a lot of thought to those qualities, and from them I crafted a collection that I wanted to feel contemporary but with references to the past. That was the starting point for my exhibition at the Salone Satellite in Milan in 2010. 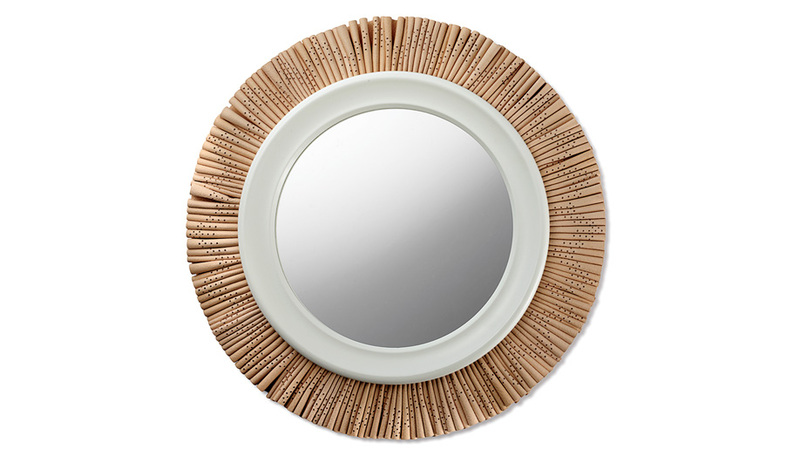 Gloria Mirror, offered by Svenskt Tenn, features a wooden frame embellished with a reindeer leather skirt. 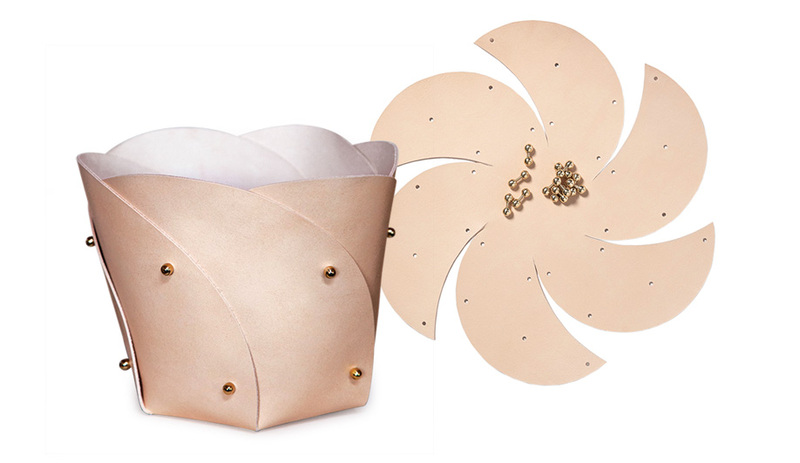 Poppy Basket, in leather and wool felt, is produced by Sweden’s Klong. It comes flat packed, to be assembled with brass fasteners. It’s an exciting time, because there are so many challenges. If I had lived in another time in history, chances are I would have been working with textiles, made lace or something like that – things women would traditionally do. 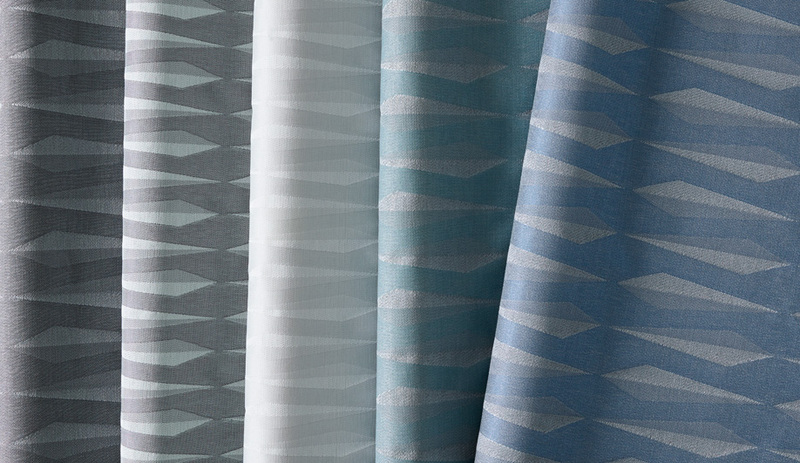 Sustainability and consumerism are two challenges for anyone involved with design today. How can we use our talent and our calling in a constructive way and still work in an industry that manufactures stuff for consumption? I am not too interested in things. I appreciate beautiful design and art, but I resent the constant bombardment of stuff we’re exposed to. That all needs to change, and it creates challenges for us as designers. Or at least it should. 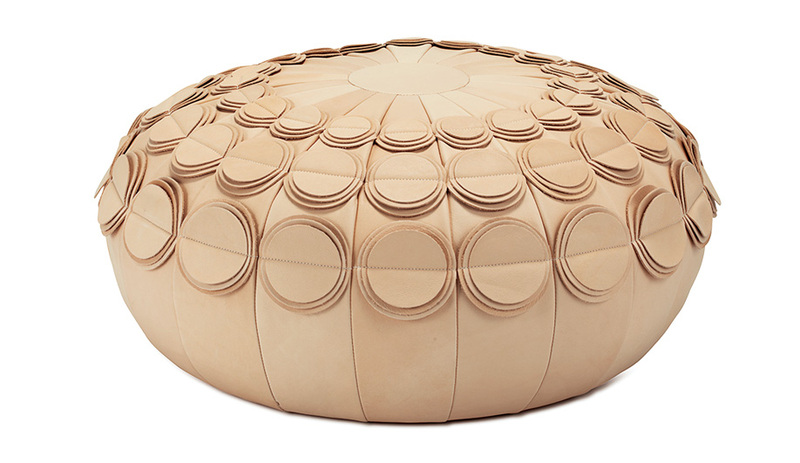 Svenskt Tenn also makes the Pompom Pouf, in naturally tanned leather. I am interested in both materials and manufacturing processes, and I try to experiment as much as I can. My projects often begin with a material and its possibilities. I like to establish some kind of contact between the object and its user, and I’d like there to be some kind of emotional connection, too. The pioneers of the modern tradition to which I belong, such as Alvar Aalto, had a material sensibility I sometimes feel is lacking in many of the objects that are made today within that tradition. I’m also fond of the idea of doing a lot with little, like with the Poppy Basket, which is a flat-packed product; and the Bow Chair for Gemla, where I played with the idea of having as few components as possible. 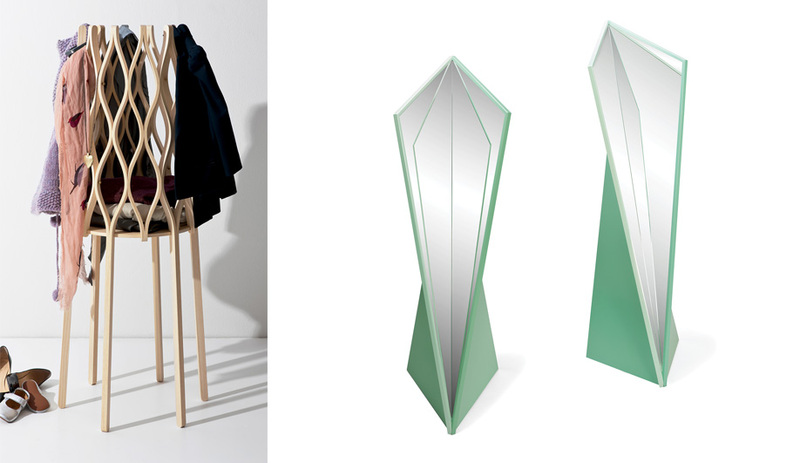 Left: The Nouvelle Vague coatrack is made of ash with brass details, and ships flat pack; Right: The whimsically named Baby It Will Never End Mirror casts multiple reflections. I’m collaborating with a new Danish company called Ro Collection. 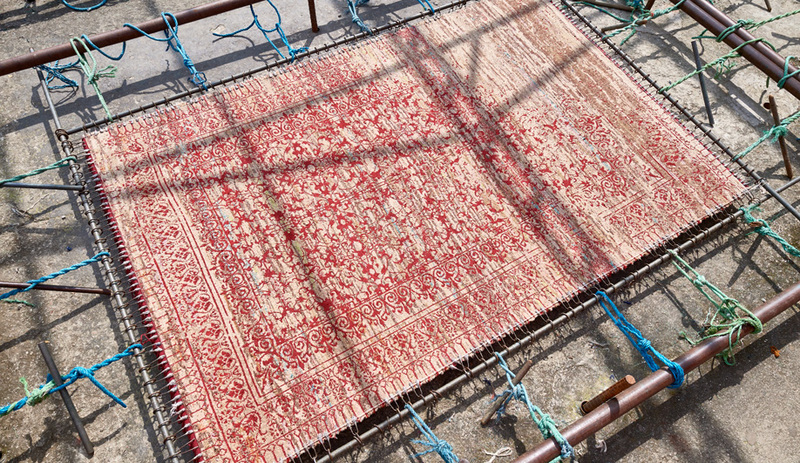 They will present a textile-upholstery project during the Stockholm Furniture Fair in February. Also, for the fair I will present a development of the Bow Chair for Gemla.